Here at A.R. Demolition, we’re proud to be a demolition company available across Oxfordshire, that offers each of these priorities and more. Carrying out demolition work of any kind is a complicated procedure. It requires pinpoint precision in the execution of the task itself, as well as full health and safety compliance through extensive, meticulous measures, and a team of experienced professionals able to deliver expert help and advice on any scale of work. Of course, we’re experts at complete safety management, able to discern the full health and safety details of the work required, before employing our controlled and coordinated service. We offer a truly comprehensive solution that undertakes all aspects of demolition, completing them with professional workmanship and accuracy each and every time. From detailed planning, right through to project completion, with reliable asbestos removal, land reclamation, and recycling as well, we take care of everything for you. 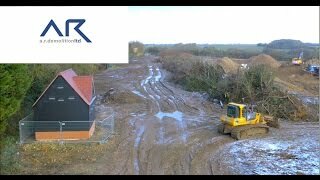 Our team are experienced with even the most complex and large scale projects, and as a recommended civil engineering company, we at A.R. Demolition strive to deliver top quality, reliable work together with a level of friendly, knowledgeable commitment to customer care that puts your needs and requirements first. Through cut/fill exercises, piling mat installation, reduced level dig and bulk excavation, and more, we aim to take the hard work off your hands and provide a complete service that you can rely on. For Oxfordshire demolition solutions, look no further than A.R. Demolition today.